Saturday (February 20) is World Pangolin Day and EIA has prepared an interactive map to highlight the international nature of the pangolin trade. The map (which can be viewed in large format here) is intended as a regularly updated resource for use by anybody working in pangolin conservation as well as for general interest and is based on a subset of poaching and seizure incidents from 2000-15, compiled by EIA and derived from publicly available records, from primarily English and Chinese language sources. For anybody unaware of these unique creatures, pangolins – also known as scaly ant eaters – are one of the most illegally traded species on the planet, killed for their meat and scales. Globally, there are eight species of pangolin distributed across the continents of Asia and Africa, four in Asia and four in Africa, and all listed on Appendix II of the Convention on International Trade in Endangered Species (CITES). All eight pangolin species are, however, threatened with the risk of extinction, with wide acceptance that populations for all are in serious decline. As such, the International Union for the Conservation of Nature (IUCN) lists all Asian pangolin species as either “Critically Endangered” or “Endangered” while the African species are all listed as “Vulnerable”. Hunting for trade is the primary threat to the survival of all pangolin species. Trade in the primary markets of East Asia and South-East Asia is mainly driven by the demand for the meat, which is expensive and consumed to demonstrate status, and the scales, which are used in traditional medicine. It was only in May 2015 that the Vietnam Government stopped pangolin scales being available under health insurance schemes, while China still has a domestic yearly quota of roughly 25 tonnes of pangolin scale for medicinal use. Available seizure data suggests that the scale of illegal trade has increased since 2008 as a result of growing demand from consumer nations. It has recently been estimated that as many as one million pangolins have been illegally traded within Asia in the past 10 to15 years. This unsustainable illegal trade continues today, seemingly unabated. 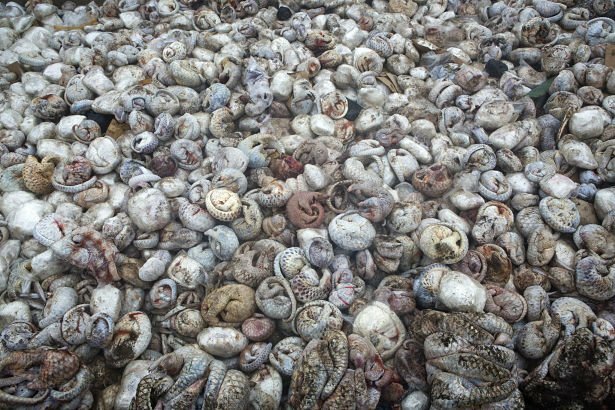 Recent seizures include 2,500 pangolin carcasses in Jiangmen in China in November 2015 and a warehouse bust in April 2015 in Belawan Port, Medan, Indonesia, which led to the seizure of 96 live pangolins, five tonnes of frozen pangolins and 100kg of scales. Trafficking in such large quantities occurring on an international scale highlights the organised nature of this illegal trade. 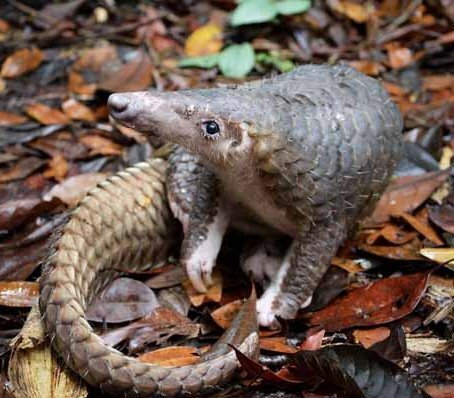 The plight of pangolins globally is at a crisis point and action is needed now to ensure that these unique species continue to exist and thrive in their natural habitats. EIA supports the call for Parties to CITES to list pangolins on Appendix I, prohibiting all international trade. We urge countries that legitimise the use of pangolin scales in medicine to amend legislation to end this practice, and for all consumer countries to launch demand-reduction campaigns. Further, EIA recommends that all countries with high levels of illegal trade invest in an effective enforcement and criminal justice response to wildlife crime, including increasing prosecutions and deterrent sentencing for those convicted of illegally trading in pangolins.